The decision by New Jersey’s Supreme Court last week to overhaul the state’s rules for how judges and jurors treat evidence from police lineups could help transform the way officers conduct a central technique of police work, criminal justice experts say. In its ruling, the court strongly endorsed decades of research demonstrating that traditional eyewitness identification procedures are flawed and can send innocent people to prison. By making it easier for defendants to challenge witness evidence in criminal cases, the court for the first time attached consequences for investigators who fail to take steps to reduce the subtle pressures and influences on witnesses that can result in mistaken identifications. “No court has ever taken this topic this seriously or put in this kind of effort,” said Gary L. Wells, a professor of psychology at Iowa State University who is an expert on witness identification and has written extensively on the topic. Other courts are likely to follow suit, and in November the United States Supreme Court will take up the question of identification for the first time since 1977. But changing how the nation’s more than 16,000 independent law enforcement agencies handle the presentation of suspects to witnesses will be no easy task, many experts say. Around the country, the notion of change has met with resistance from police officers who remain skeptical about the research and bridle at the idea that they could affect the responses of witnesses, even unintentionally, which studies find is how most influence occurs. In many communities, lineups are conducted in the same way they have been for decades, although typically these days they involve photos, not actual people. According to some estimates, only about 25 percent to 30 percent of jurisdictions have police departments that have revised their policies to protect the integrity of lineup procedures. Although some states are studying revisions or require single changes in procedure, only two — New Jersey and North Carolina — mandate the two practices that researchers regard as most important: lineups that are blinded, that is, administered by someone who is not familiar with the suspect and who is not one of the primary investigators on the case; and photo arrays that are presented sequentially rather than as a group. Both practices, studies find, decrease the pressure on witnesses to pick someone and guard against influence. The idea that human memory is frail and suggestible has gradually gained acceptance among leaders in law enforcement, buttressed by more than 2,000 scientific studies demonstrating problems with witness accounts and the DNA exonerations of at least 190 people whose wrongful convictions involved mistaken identifications. 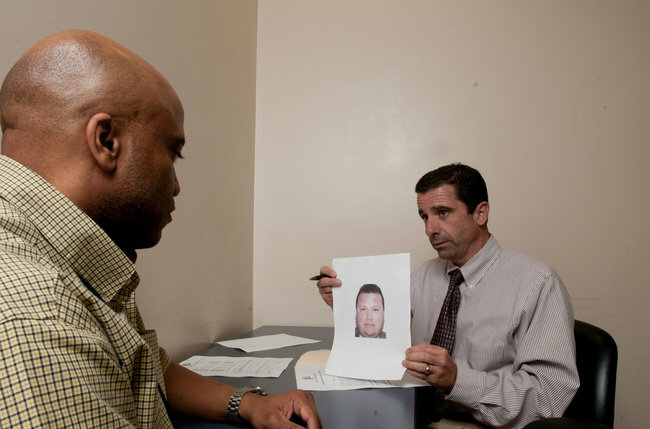 About 75,000 witness identifications take place each year, and studies suggest that about a third are incorrect. Model policies for changing lineup procedures have been created by professional organizations like the International Association of Chiefs of Police, and in 1999, the National Institute of Justice released guidelines that were sent to every police department in the United States. Some large departments, like those in Dallas and Denver, have already made changes, often under the leadership of an administrator eager to keep up to the national standard or after DNA exonerations revealed mistaken identifications. In Dallas, for example, detectives take elaborate precautions to make sure that identifications remain untainted and that they will stand up in court. Witnesses are sent to a special unit of the Police Department devoted entirely to lineups, where they are read instructions and shown photographs by trained lineup officers who have no relationship to the cases. Photos are presented one at a time instead of all together, and the witnesses then indicate how confident they are in their judgments. The whole process is videotaped, so that it can be viewed by defense lawyers and by the court, if necessary. Lt. David Pughes, commander of the department’s homicide unit, said 5,000 lineups had been conducted in this manner since April 2009, when the policy was instituted, a major departure from the days when the investigating officers in criminal cases conducted lineups and no consistent procedures were followed. Initially, Lieutenant Pughes said, the new practices were resisted by detectives, who felt that their integrity was being challenged. The Denver Police Department adopted similar revisions six years ago, after “we looked at what we were doing and felt it was too suggestive,” said Lt. Matthew Murray, an aide to the department’s chief. But 15 miles away, in Aurora, Colo., little has changed. Sgt. Cassidee Carlson, a Police Department spokeswoman, said the department had no written policy and did not follow the National Justice Institute guidelines because there was no state mandate to do so. Lineups in Aurora, she said, are usually conducted by the officers investigating the cases, and although witnesses are admonished to take care in their identifications, no consistent steps are taken to prevent influence. Ron Waldrop, a former assistant chief in charge of investigations in Dallas who instituted the changes there, said most departments do not make changes until wrongful convictions or other problems become an issue. And small departments in particular are unlikely to have changed their procedures. “You have a lot of 10-man departments in the United States, and nobody really knows what they’ve done, if anything,” he said. In an effort to find out, the Police Executive Research Forum has begun a survey of lineup practices in more than 1,400 randomly selected police departments around the country. The results are expected later this year, said Jerry Murphy, the survey’s lead investigator. Mr. Waldrop, who is serving as an adviser on the survey, said his own suspicions about the flaws in witness procedures began during the 17 years he spent as commander of the Dallas department’s homicide division. In some cases, he said, detectives would give small facial cues when a witness picked the suspect they had in mind, or tell the witness to pick “the person who most resembles” the one they had earlier seen commit the crime. And sometimes witnesses to the same crime would identify different suspects. “There were things I saw in practice by detectives that were unintentional that I knew needed to be rectified through standards and training,” Mr. Waldrop said. Yet even in departments that have enacted changes, police officers sometimes fail to comply with the new procedures. Stanley Z. Fisher, a law professor at Boston University, did a pilot study on compliance with changes in two jurisdictions in Massachusetts. He found that in Middlesex County, for example, where police officers are urged but not required to conduct blinded lineups, they recorded doing so in only 2 of 11 photo arrays. The resistance to changing the witness identification process has not been limited to police officers, criminal justice experts say. District attorneys and judges have also been slow to recognize the weight of the evidence that the process is inadequate. Brandon L. Garrett, a law professor at the University of Virginia whose book, “Convicting the Innocent,” was cited by the New Jersey Supreme Court justices in their ruling, said that judges often blocked testimony about studies that demonstrate problems with witness evidence. “Judges say it’s either too complicated, abstract and unconnected for jurors to understand, and other times they say it’s too simplistic,” Mr. Garrett said. As a result, there is often little or no counterbalance to the impact that vivid witness accounts have on juries. This is an interesting story. I’ve read about plenty of cases in which faulty eyewitness accounts have led to innocent people being prosecuted.